I’d like to introduce you to the React Mobile App. Personal Safety is on the second step of Maslow’s Hierarchy of Needs because it’s THAT important. Keeping safe seems to be harder now a days and when they say “There’s an app for that!” they aren’t kidding. 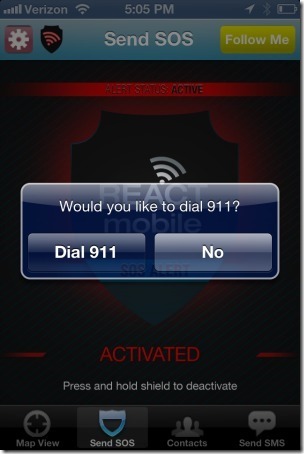 React Mobile is a FREE safety app for your iPhone and Android smartphone that is designed to be your lifeline. 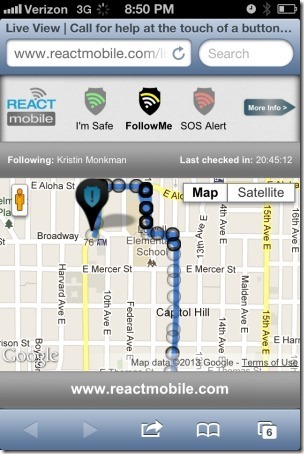 The Follow Me feature allows selected contacts to track where you are in real time when you are concerned about your safety (walking home alone in the dark for example.) You can use the I’m Safe button to let them know you have arrived at your destination. First of all if something bad happens to you, you won’t always have a chance to hit the SOS but if you always use the Follow Me feature when going somewhere new or alone or anything that could feel uncomfortable, then if something does happen, your contacts will know when you don’t check in using the I’m Safe feature. 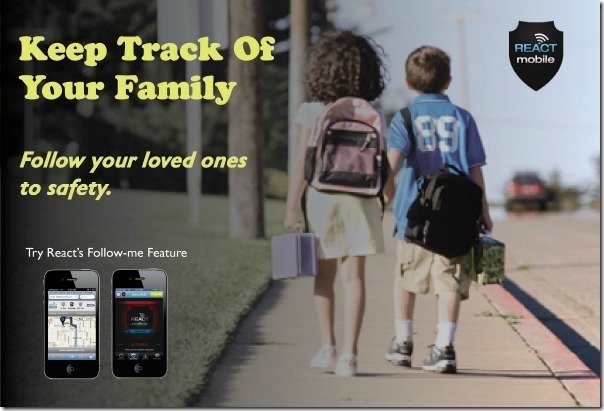 Plus they’ll know your GPS location or at least the last location you were at if you lose your cell phone. If you just tell your friends where you are going before you leave, they have no way of knowing what path you took or if you got abducted or just took a detour for coffee. Second, unlike other “safety” products like pepper spray or other weapons, the app cannot be used against you in any way if the assailant gets a hold of it. Watch this video to learn more about the app. Please note that you do need 3G or Wifi to use this app. The contacts you set on your phone do not NEED to have the app downloaded themselves. I absolutely think this is a great idea and have downloaded it to my phone so the next time I’m walking alone or travelling alone my husband can monitor me from home and I will feel a lot safer.